The Choir Booster Club is selling bricks for the AHS Wall of Fame. The wall is located between the doors leading to the Little Theater. All money will go to benefit the High School Choirs. 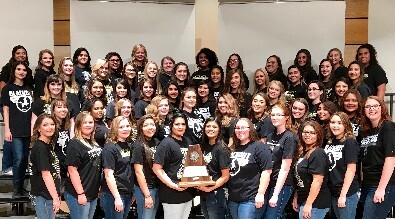 The Texas Music Educators Association held the High School All-Region Choir Auditions on Saturday, September 29, at Permian High School. 15 Andrews High School Choir members qualified for the choir and 13 of those qualified for the Pre-Area round of auditions. Those qualifying for the Pre-Area auditions were in the top 6 of their voice parts and will audition again on November 2nd in Odessa. 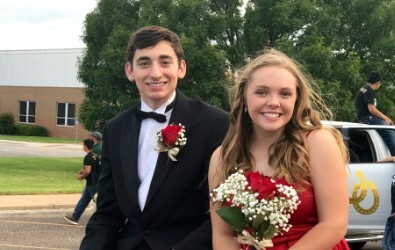 If they are in the top 8 of their voice part at the end of the Pre-Area Auditions, they will qualify to audition for the Texas All-State Choir in January. All-Region Choir Auditions on Saturday, October 13, at Nimitz Middle School. Micheal Cuevas qualified for the Tenor-Bass Choir and earned 4th chair in the Bass section. 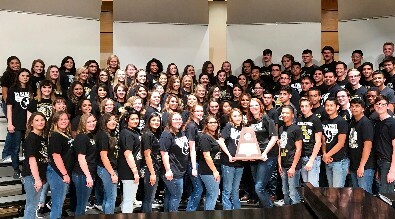 The All-Region Choir Concert will be held on Saturday, November 3, at Bonham Middle School in Odessa. 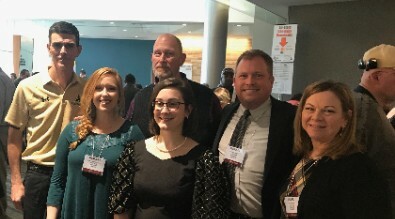 The Texas Music Educators Association held the Small School Choir Pre-Area auditions on Friday, November 2nd in Odessa. 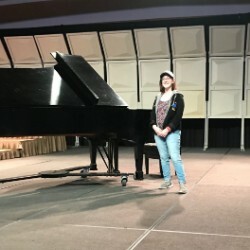 6 Andrews High School choir students advanced to the next round of auditions. They will audition for the Texas All-State Choir on January 12th at Lee High School in Midland. They will be competing against singers from Midland/Odessa, Amarillo, Lubbock and El Paso. 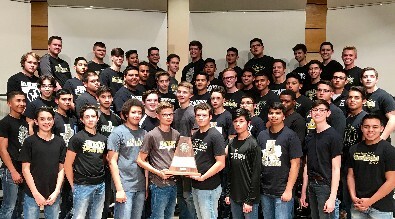 The UIL Vocal Solo and Ensemble Contest was held on February 9th at Wagner Noël Performing Arts Center The Andrews High School Choral Department had 23 Division I – Superior Ratings earned on solos, 20 Division 1 Medium Ensemble members and 56 Division I Madrigal members. 18 Soloists and 6 Madrigals (a total of 56 students) qualified for the Texas State Solo and Ensemble Contest, which will be held at Hendrickson High School in Pflugerville on June 2nd. Students must earn a Division I – Superior rating on a class 1 solo or ensemble to qualify for state. 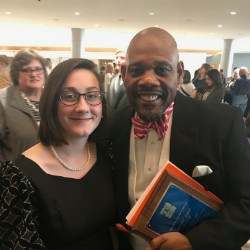 All solos and ensembles were prepared by Michael Matlock, Jody Keesee, Ann Hogan, Gary Ragland and Whitney Ellison. 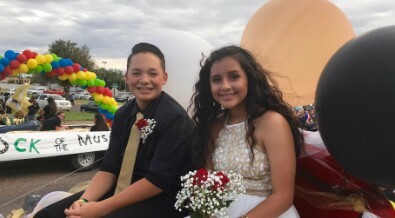 Kobe Boswell, Ayla Carrizales, Larissa Carruth, Jesus Castillo, Omar Chavez, Sami Daye, Kaitlin Jeppesen, Makenzie Keesee, Kacey Kelley, Kylie King, Char Maxey, Chaz Melton, Joshua Neves, Aylen Olivas, Ryleigh Teeters, Aaron Vasquez, Matthew Villarreal and Jenna Young. Daniella Armendariz, Gabby Balderamma, Alyssa Bustamante, Beatriz Cancino, Taylor Christopher, Haley Gafford, Daniella Gil, Nayelli Guerrero, Judith Hernandez, Genevieve Jasso, Amaris Mejia, Brianna Moore, Mikalyn Pesce, Jamie Pool, Dayna Reyes, Katy Rush, Raven Shepker, Hannah Tidwell, Gisselle Torres and Anahy Valenzuela. 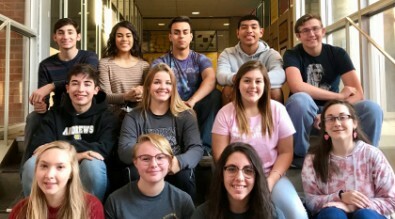 Kynadie Adkins, Kaitlin Argabright, Georgi Roacho, Makenzie Keesee, Kacey Kelley, Taryn Nunn, Jesus Castillo, Blayde Haynie, JT Ramirez, Lisha Hernandez, Skyla Argabright, Char Maxey, Kristine Hernandez, Erica Hernandez, Maranda Farmer, Sami Daye, Matthew Villarreal, Omar Chavez, Kaitlin Jeppesen, Larissa Carruth, Brianna Huerta, Avery Brown, Hailey Riojas, Ayla Carrizales, Brayden Medina, Hallie Patton, Aaron Vasquez, Kobe Boswell, Macee Mack, Avonna Jeffcoat, Faith Barrow, Alyssa Lujan, Brylee Morris, Hannah Patton, Joshua Neves, Dasia Peredez, Kylie King, Dallas Hathcock, Kylyn Nickel, Amia Gibson, Jlee Gomez, Cody Moore, Bryce Mayfield, Saul Canava, Coah Tyler, Ryleigh Teeters, Alexis Saenz, Jenna Young, Kayla Gonzales, Aylen Olivas, Kaylie Patrick, German Rodriguez, Adrian Juarez, Michael Garcia and Brennan Bennett. 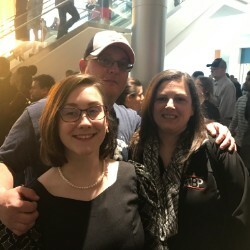 Kacey Kelley performed with the Texas Small School All-State Choir on Saturday, February 16.